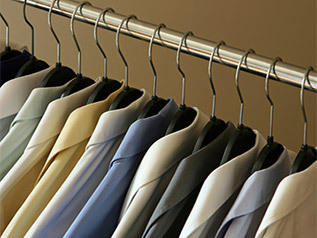 We provide superior dry cleaning services, and we're not satisfied until your garments look as beautiful as they did the day you purchased them — even if that means taking the extra time to treat stains until they are gone or sewing a missing button on a shirt. Super Cleaners Dry Cleaning Service has a lot to offer. We are certified professionals that handle any job large or small. With our experience, we know how to keep you looking good. Save time and gas by letting us pickup and drop-off your dry cleaning for you! We always provide price list for Transparency Management. For a list of our dry cleaning services, please see our Price List. 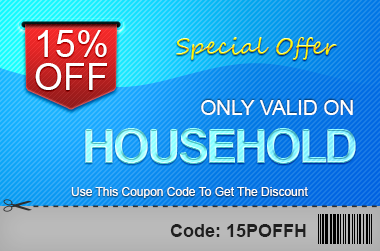 During the month of December, Five Laundered Shirts for $10 and $25.99 for Comforter Cleaning.Valid on incoming orders only. Certain restrictions may apply. It's the service that lives up to its name. It's easy to get started. Just fill out our express application. Your wedding gown is one of the most precious possessions. 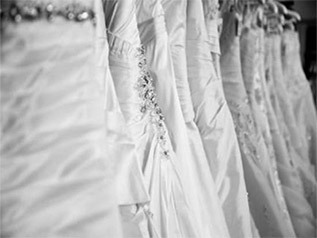 At Super Cleaners, we treat and clean your wedding gown with special care. Our service enables you to clean bedding, fine linens, pillow treatments, window coverings and other household items to perfection and odor free! 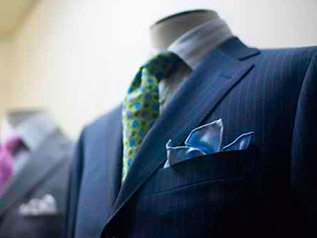 Casual or professional, starch or no starch, look your best with our high quality touch. 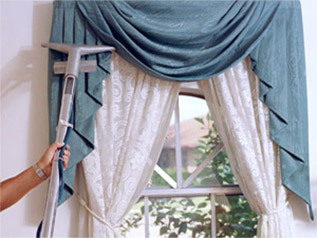 Regular, thorough upholstery and curtain cleaning can freshen and restore your fabrics and add to the life of your curtains and other soft furnishings. 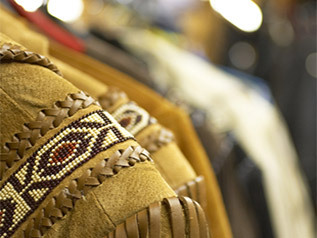 We treats your fine leather and suede garments to the ultimate cleaning experience. 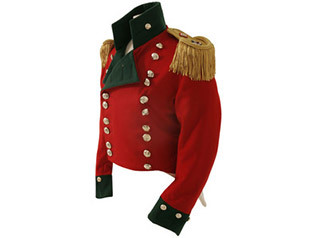 From marching band to peewee football, nurse scrubs to full military ceremony dress, Super Cleaners offers the premium uniform services that fit your needs. 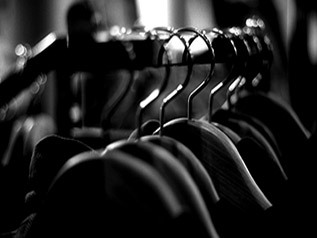 Our seasonal storage service is used by many of our customers to preserve and protect their wardrobe in the off-season. My husband and I have been a customer of Super Cleaners since 2004. Sure we tried other locals over the years, but we always came back to Super Cleaners. We love them because of their uncompromised professional care, extremely friendly staff service, and attention to every detail--every time. They stand by their work and live up to their reputation of being trustworthy of even the most fragile garments. Thank you, Super Cleaners, for being the best dry cleaners! Great location with fast friendly service. I wouldn’t think to use another cleaner! If you are new to the area don’t risk using another cleaner. If you need something altered you’ll have to show up early in the day but you’ll be very glad you did. I always know everything will be perfect!! I recently was in VA for something else, and brought my laundry that some other dry cleaners fouled up. These guys took care of me COMPLETELY. I wish they’d open a location closer to my current address. Thank you Super Cleaners for consistent quality work and great pricing. I finally found a barber in the VA area who can do a fade, but when it comes to dry cleaners, this is the only place I want to bring my suits to…and I will if I have trips to VA planned in the future. Super Cleaners is a must for any working professional who needs dry cleaning. Most options have unrealistic hours (9am-6pm for example), are super expensive, do not accept credit cards, and have an incomprehensible staff. 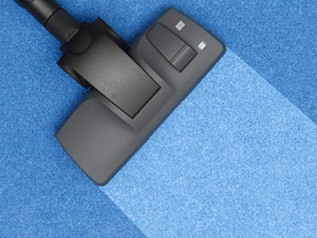 Enter the breath of fresh air that is Super Cleaners. Always available, quick, affordable, hospitable service, great results with the clothes, are the main qualities of this wonderful service. If there is a problem with anything, call up the team, and they connect you with a real person who resolves the problem on the spot. Also, they don't use any harmful chemicals. I will be using Super Cleaners as long as it's convenient. Thanks! 2019 © Super Cleaners. ALL Rights Reserved.